This work explores the history of silk production, overlapping the life cycles of the moths that produce silk (Bombyx mori) and eat silk (Tineola bisselliella). 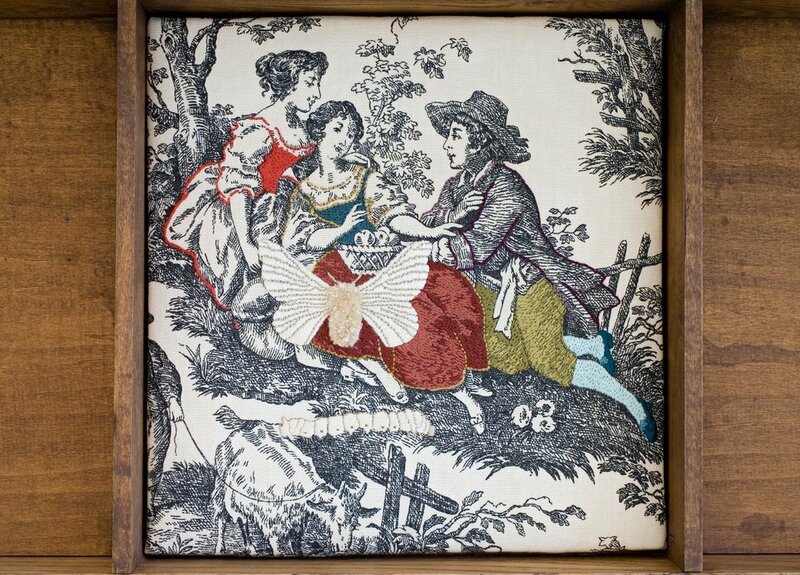 Dozens of silkworms, hand-knit from silk chenille, are scattered on a silk nightgown, while embroidered details on French toile draw attention to clothing worn by the figures. 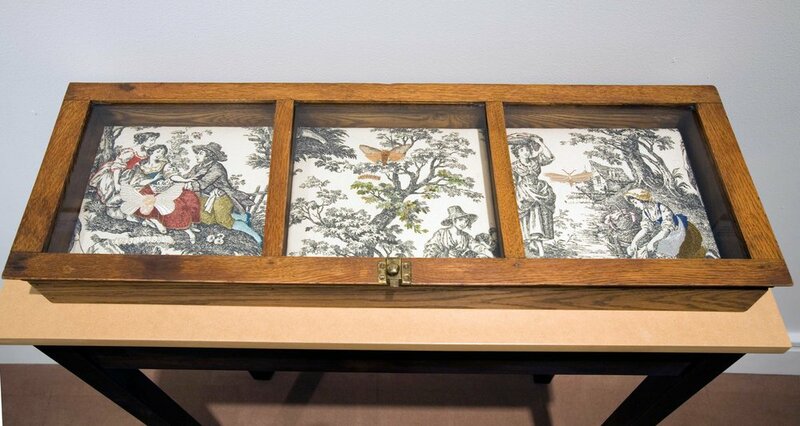 To replicate a museum aesthetic, the works are displayed in antique display cabinets and tables.